Our team attended DC’s An Event Apart this summer, a conference about the latest web design and development trends. We’ve been writing about our takeaways, including accessibility, measuring engagement, and image optimization. In this post, we dive into the world of progressive web apps. 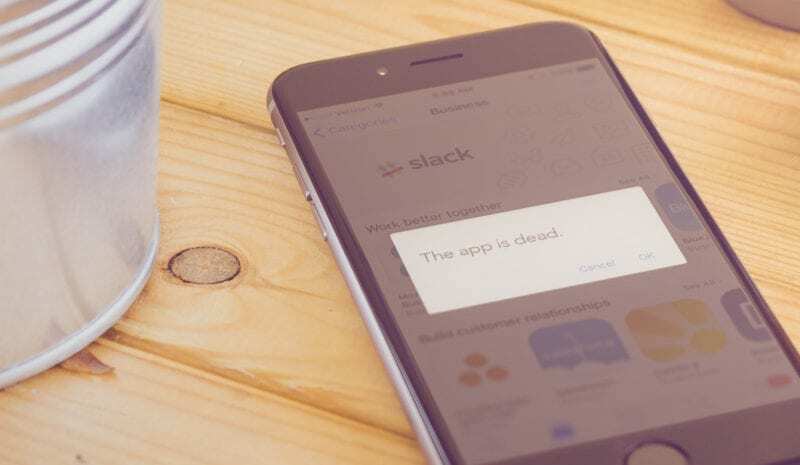 Apps, as we know them, may be dead. The mobile landscape is changing, and traditional apps are being replaced by better, faster, slicker mobile websites known as progressive web apps. Jason Grigsby filled us in on the rise of this technology during his presentation, “The Case for Progressive Web Apps,” at An Event Apart. Our Creative Director Rob Smelik also wrote about this topic on his website. Here’s an introductory look at this emerging trend. Why are native apps going away? Whenever you download a game like Candy Crush from the app store, you are adding a native app to your smartphone. These apps are developed by specialists who know the ins and outs of Apple and other native app hosts. Responsive websites have improved over the last few years. In 2015, Google changed its infamous algorithm to favor responsive websites, which perform well on any desktop, mobile or tablet device. Rob explained that Google’s change led to many companies to invest in mobile-friendly sites, rather than native apps. “Why pour money into the development of multiple apps for iOS, Android and even Google’s newest platform Fuchsia, when you can develop one web app to cover all bases?” he wrote. You may be asking, “So are these really apps, or just regular mobile websites?” According to Jason Grigsby, it doesn’t really matter. Whether you call them progressive web apps or responsive websites or any other name, the technology is changing the way many companies operate online. Like native apps, PWAs also deliver push notifications. You can add a PWA to your smartphone home screen, which is not a feature of typical mobile websites. Then, you can opt in to receive regular updates from the site, the way you would from a weather or news app. It’s important to note that this PWA option isn’t available on iPhones. In fact, iOS doesn’t support many PWA features, at least not yet. Based on Jason’s presentation, here are some other reasons PWAs stand out from other websites. Speed: With better caching technology, PWAs load faster than other mobile sites. Users also have a smoother experience as they navigate the PWA. Security: PWAs have SSL certificates, which encrypt user information. You can read more about HTTPS websites in our recent blog post. Responsiveness: PWAs work well on any desktop or mobile device. According to Jason (@grigs), PWAs are showing promising results, even in their early stages. Companies are seeing improved SEO, website traffic, and engagement from their progressive web apps. As PWAs become more popular, you may want to consider how this affects your digital strategy. For instance, maybe developing a native app doesn’t make sense for your company. As Jason pointed out, almost half of U.S. smartphone users don’t download any new native apps on a regular basis. You may also want to upgrade your website to include PWA features. However, you don’t have to make a lot of changes all at once. You can take small steps to move your site into the new age of progressive web apps. First and foremost, you can make sure your website is responsive. That way, it will look great on any desktop or mobile device, even if you don’t leverage all of the tools PWAs have to offer just yet. Interested in turning your mobile website into a progressive web app? Or just need something more mobile friendly? Get in touch with our developers today!